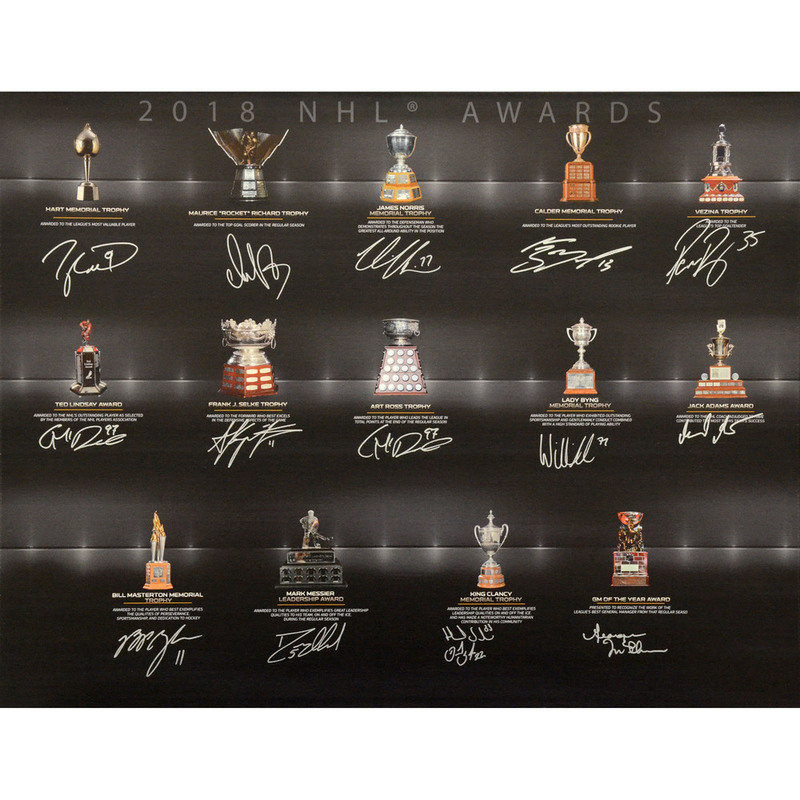 93% of the total amount paid by the customer for each purchase made in this auction will go to the National Hockey League Foundation. For US federal income tax purposes, the deductibility of each customer's purchase is limited to the excess of the amount the customer pays to the National Hockey League Foundation (excluding shipping and insurance costs) over the fair market value of the item. If you are a US resident, please consult your tax advisor for details regarding the deductibility of your purchase for U.S. federal income tax purposes. The National Hockey League Foundation, located at 1185 Avenue of the Americas, 15th Floor, New York, NY 10036, is a US private foundation that is exempt from Federal income taxation under section 501(c)(3) of the Internal Revenue Code of 1986, as amended. A copy of the latest annual report can be obtained from the National Hockey League Foundation or from the Office of the New York Attorney General by writing the Charities Bureau, 120 Broadway, New York, NY 10271. The National Hockey League Foundation has made contributions to other organizations, and a list of all organizations that have received contributions during the past twelve months may be obtained from the National Hockey League Foundation. A charitable donation receipt will not be issued by the NHL Foundation (the Canadian foundation). Canadian residents who purchase an item from the 2017 Centennial Auction may not be entitled to a charitable donation tax credit or deduction in respect of such purchase for Canadian federal income tax purposes and should consult their own tax advisors with respect to any Canadian tax implications of their purchase. Winning bidders outside the United States and Canada should also consult their own tax advisors with respect to potential tax consequences, if any, of their purchase in their countries or territories of residence.